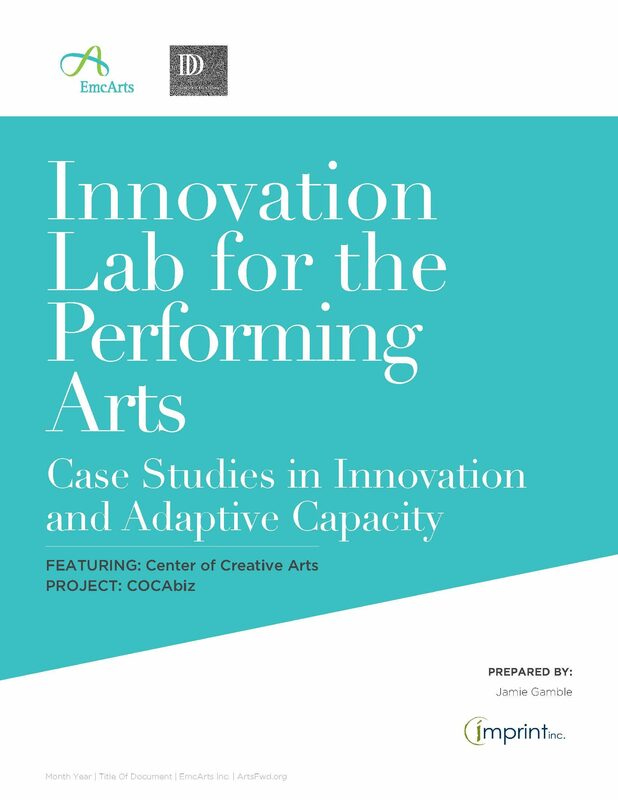 We are pleased to present our new publication, Innovation Lab for Performing Arts: Case Studies in Innovation and Adaptive Capacity – featuring the Center for Creative Arts’ COCABiz program. This case study is about the Center of Creative Arts’ new project, COCABiz, which was designed, developed and prototyped through the Innovation Labs for Performing Arts in 2009. Building on COCA’s central organizational vision, which is the belief that everyone has creative potential and the arts can enrich people’s daily lives, COCABiz provides a slate of services to the business community in St. Louis, Missouri, so that business leaders can integrate artistic practices into their professional work. COCABiz relies on four key aspects of artistic practice — lateral thinking and non-linear processes, thinking by doing, vulnerability and deep questioning — in order to support businesses in strategy and process analysis, group dynamics, program development and more. 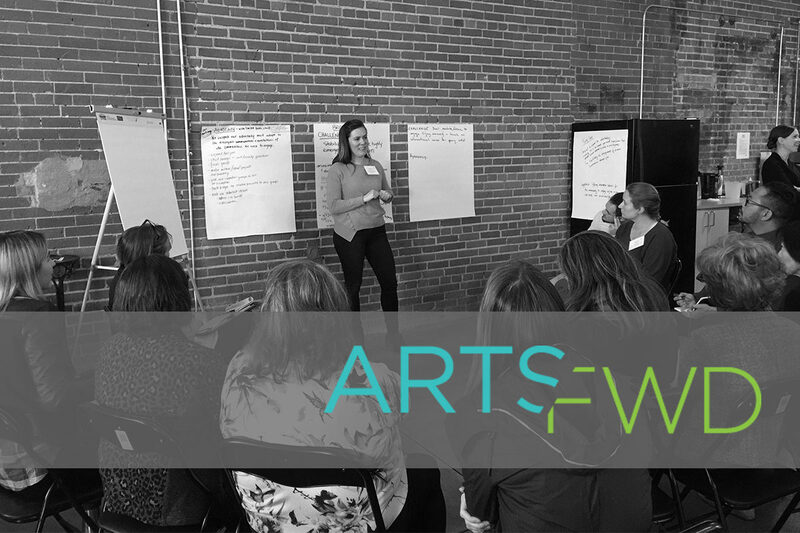 Read our in-depth case study on COCABiz, a program that supports the business community in St. Louis, Missouri with the integration of artistic practices into their trainings. The Innovation Lab provided a strategic and stable container for COCA to experiment and learn within. With facilitation support from EmcArts, COCA was able to validate, interrogate, and effectively address the assumptions and resistance at the heart of their COCABiz program. There were major shifts in several fundamental assumptions, including the misperceptions that the worlds of business and arts do not mesh, and that the program would cause organizational mission-drift at COCA by diverting attention towards business leaders instead of the general public. Innovation Labs encourage innovative thinking and cross-sectoral, interdisciplinary collaborations, and COCA was able to use this container to lean into their differences in a constructive, rather than combative way. The result was a truly interdiscplinary educational program that combines theatre, dance, and art and design into a comprehensive platform for tackling complex business issues. Don't want to read the full case study? Check out the one-page case snapshot here. COCA’s team came out of the Innovation Lab with new understandings about their positioning and public offerings in St. Louis, and their relationships to the business community. They learned that COCA’s definition of community could be inclusive of local business leaders, and that a program for business audiences could still reflect their core values and emphasis on artistic practices. In the prototyping and program development phase, they also discovered that teaching artists could generate a fertile common ground between their two communities by meeting both artistic and business definitions of quality. The first two COCABiz prototypes were workshops titled “Playing the Relational Field: Artistic Strategies for People Managers” and “Re-Imagining How Teams Innovate.” Since those original experiments three years ago, COCABiz has grown into a refined program that is not only a vital element of COCA’s offerings, but also a major revenue generator for the organization. In 2015,COCABiz projects aims to reach up to 1,200 participants, and generate a projected earned revenue stream of $175,000. The Innovation Lab supports leaders in integrating innovations across their entire institutions, so that innovation does not happen irregularly in stand-alone programs, or organizational corners and pockets, but instead is a process and ethos that is infused through institutions. COCABiz is a great example of this, because the model was integrated strategically into the larger institution. For example, in 2012, the COCA Board retreat used hands-on arts exercises, which previously was not a regular practice. 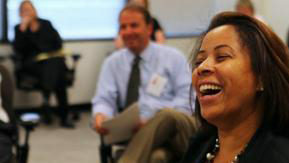 COCABiz has also generated deeper connections in the business community, widened COCA’s donor base, and leveraged COCA’s overall mission by expanding their definitions of community, audience and collaboration. The creation of the new program has facilitated stronger internal collaborations by bringing COCA’s fund development, programming and marketing functions into closer alignment.